By the time of Barack Obama's inauguration as the 44th president of the United States, he had already developed an ambitious foreign policy vision. By his own account, he sought to bend the arc of history toward greater justice, freedom, and peace; within a year he was awarded the Nobel Peace Prize, largely for that promise. In Bending History, Martin Indyk, Kenneth Lieberthal, and Michael O'Hanlon measure Obama not only against the record of his predecessors and the immediate challenges of the day, but also against his own soaring rhetoric and inspiring goals. 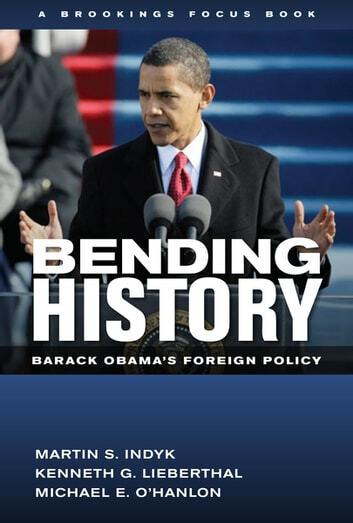 Bending History assesses the considerable accomplishments as well as the failures and seeks to explain what has happened. Obama's best work has been on major and pressing foreign policy challenges-counterterrorism policy, including the daring raid that eliminated Osama bin Laden; the "reset" with Russia; managing the increasingly significant relationship with China; and handling the rogue states of Iran and North Korea. Policy on resolving the Israeli-Palestinian conflict, however, has reflected serious flaws in both strategy and execution. Afghanistan policy has been plagued by inconsistent messaging and teamwork. On important "softer" security issues-from energy and climate policy to problems in Africa and Mexico-the record is mixed. As for his early aspiration to reshape the international order, according greater roles and responsibilities to rising powers, Obama's efforts have been well-conceived but of limited effectiveness. On issues of secondary importance, Obama has been disciplined in avoiding fruitless disputes (as with Chavez in Venezuela and Castro in Cuba) and insisting that others take the lead (as with Qaddafi in Libya). Notwithstanding several missteps, he has generally managed well the complex challenges of the Arab awakenings, striving to strike the right balance between U.S. values and interests. 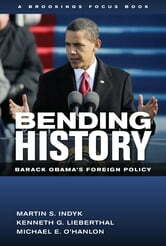 The authors see Obama's foreign policy to date as a triumph of discipline and realism over ideology. He has been neither the transformative beacon his devotees have wanted, nor the weak apologist for America that his critics allege. They conclude that his grand strategy for promoting American interests in a tumultuous world may only now be emerging, and may yet be curtailed by conflict with Iran. Most of all, they argue that he or his successor will have to embrace U.S. economic renewal as the core foreign policy and national security challenge of the future.